Anita Mester is a Texas-born quilter and fiber artist who loves to experiment with dyes, fibers and paper. Although she has no connection to BCRC and has never participated in Art Bra before, she says she was inspired when she heard BCRC staffers Robin Leonard and Meghan Jones speak about the work of the Center, which lead to her desire to share her work with the community. What she wound up creating is a stunning piece of wearable art that any model would be fortunate to wear. 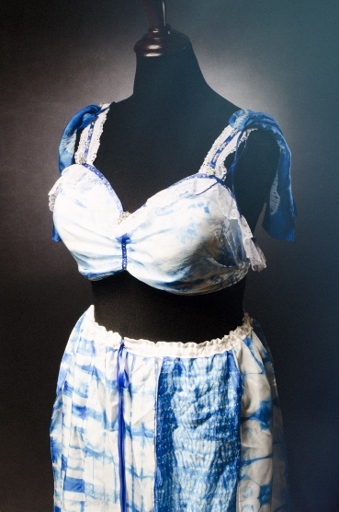 The bra comes with accompanying skirt, necklace and headband made of the same materials and prepared using the same Shibori technique. 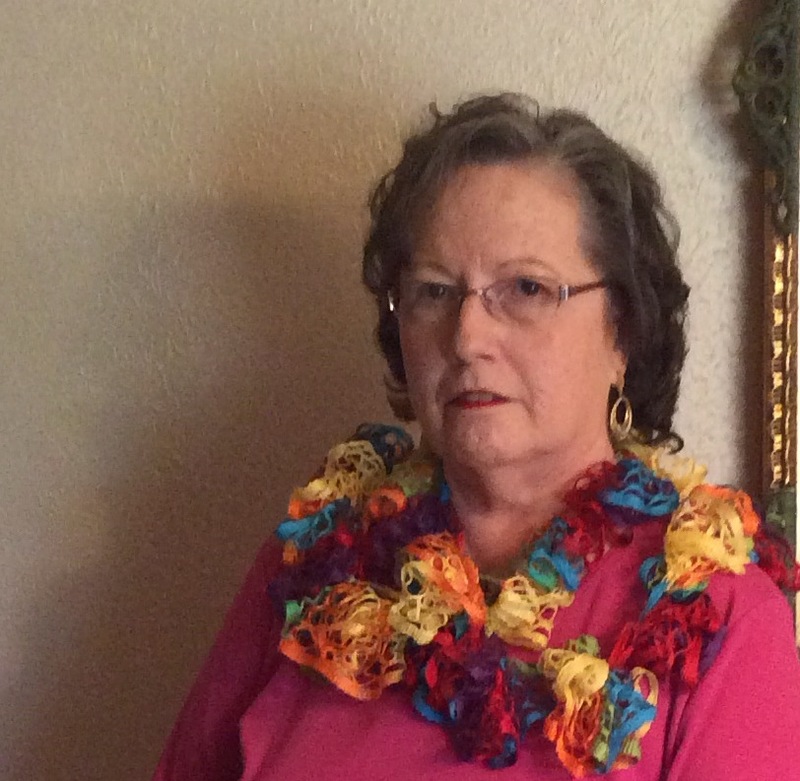 Austin Fiber Artist member Debbie Seitz added the Swarovski crystals as a finishing touch to this beautiful creation.